Given k permutations of n elements, a k-tuple of intervals of these permutations consisting of the same set of elements is called a common interval. We present an algorithm that finds in a family of k permutations of n elements all z common intervals in optimal O(kn+z) time and O(n) additional space. Additionally, we show how to adapt this algorithm to multichromosomal and circular permutations. 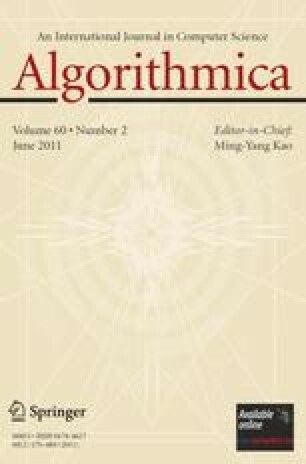 This extends a result by Uno and Yagiura (Algorithmica 26:290–309, 2000) who present an algorithm to find all z common intervals of k=2 (regular) permutations in optimal O(n+z) time and O(n) space. To achieve our result, we introduce the set of irreducible intervals, a generating subset of the set of all common intervals of k permutations.